Forget about the endless search for villages in MCPE, which can take hours. 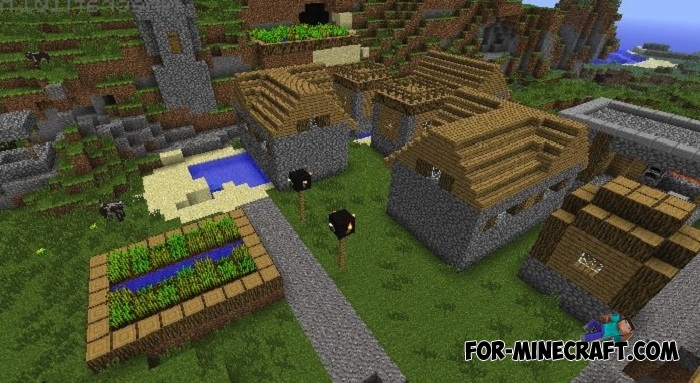 Everyone knows that the villages are randomly generated, so the player can not know exactly where the village is, although of course there is an opportunity to use a village seed. But you can easily avoid searches and just take advantage of this little addon that does not stand out from the survival mode. Honestly, the addon could be perfectly embedded in original Minecraft PE, as it does not give much advantage and does not spoil the atmosphere of the game. The only thing you get is a new map showing the location of the nearest villages. Just take the map and follow to the point where the village is. So after a few minutes you will reach the desired place and see the first villagers. To get the map you will need to make an exchange with the cartographer. Yes, you should in any case find the village without map prompts, but then you can easily use this wonderful tool.